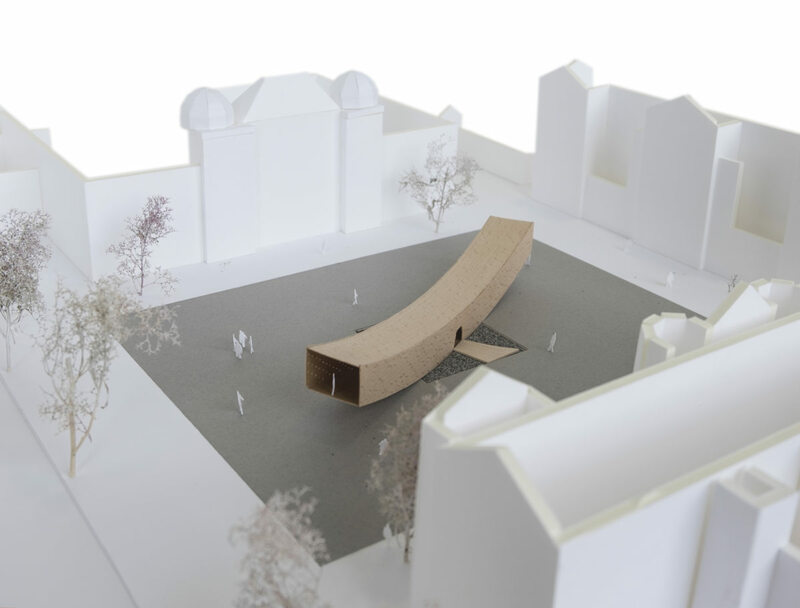 Alison Brooks Architects has collaborated with The American Hardwood Export Council, Arup and the London Design Festival to present a cross-laminated tulipwood structure on the Rootstein Hopkins Parade Ground of the Chelsea College of Arts from 17 September until 12 October. Alison Brooks says, “The Smile is a huge curved hollow tube made of cross-laminated tulipwood. It touches the ground at one point, like a wheel. 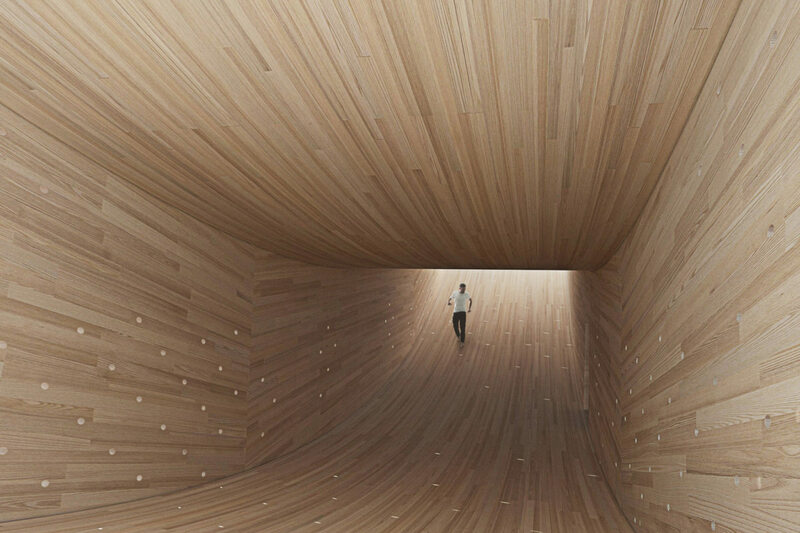 Entering The Smile through an opening where the curved form meets the ground, the visitor can walk from end to end of the 34-metre-long tube to discover a new kind of space that gradually rises toward light. 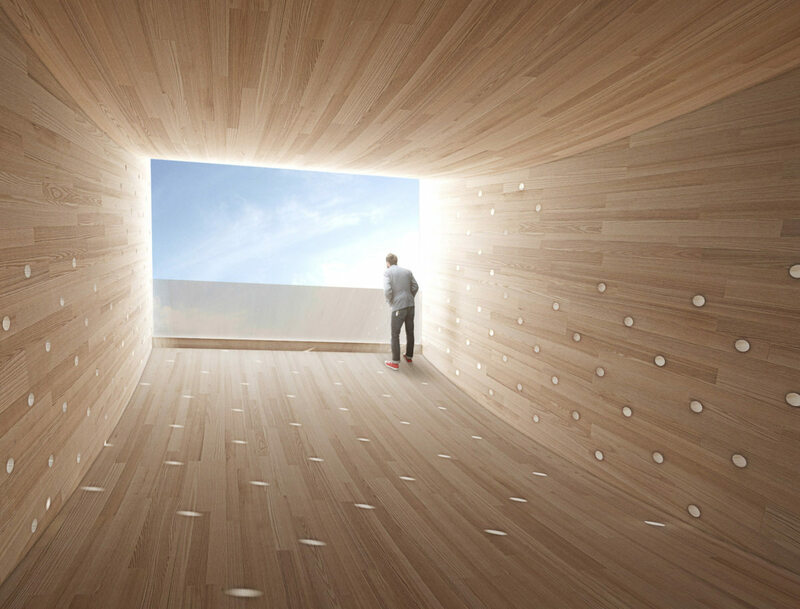 All four sides of The Smile’s interior will be made of same beautiful hardwood panels as the structure. It will offer a complete sensory experience of colour, texture, scent and sound. The Smile’s two open ends will illuminate the funnel-like interior space and act as balconies to the city. 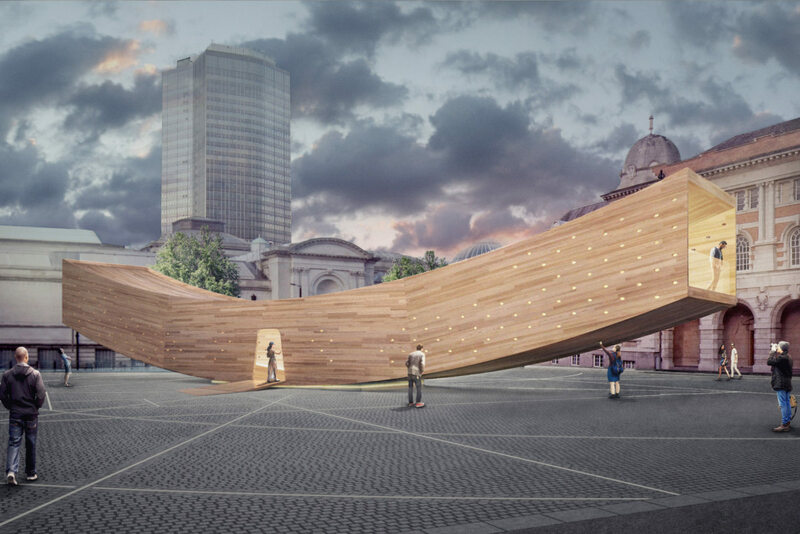 This creation of a brand-new product and a new use of hardwood will transform the way architects and engineers approach timber construction. “This structure proves that hardwoods have a role to play in the timber construction revolution,” says David Venables, European Director of AHEC. “All our previous LDF projects – Timber Wave, Out of the Woods, Endless Stair and The Wish List – have been significant projects.